Fortune Delight is a healthy, low calorie drink mix made with green tea and other herbs. Fortune Delight is a healthier alternative to plain water, sodas, energy drinks, artificially colored sport drinks, or flavored vitamin waters that do more harm than good, and it tastes great, with only 10 calories per serving! One 20g packet of this low calorie drink mix combines with up to 6.5 Quarts (208 oz, or 1.625 Gallons) of water for a healthy, hydrating drink you can't buy in just any health food store. Sunnydew liquid stevia is zero calorie liquid stevia by Sunrider to help maintain healthy blood sugar levels. It can also help curb sugar cravings. Unlike high fructose corn syrup, sugars or artificial sweeteners, stevia is known for its ability to help people maintain normal blood sugars without the spikes and crashes. SunnyDew liquid stevia is made with a unique purifying and concentration process. This preserves the natural structure of the plant in its whole food form. The stevia plant is 300 times sweeter than typical sweeteners, yet it is zero calorie. Also, unlike artificial sweeteners, Sunnydew liquid stevia does not contain harmful chemicals or additives. 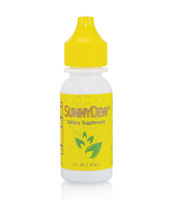 Sunnydew is an all natural flavor enhancer that won't interfere with blood sugar levels. Indigenous peoples of South America have been aware of the stevia plant's health benefits for centuries, and now liquid stevia is available in this convenient bottle. 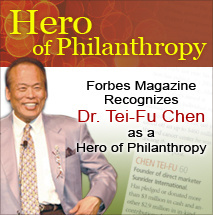 In 1984, Dr. Tei-Fu Chen, an American herbalist from Taiwan, perfected a method to extract the sweetness from the stevia plant without using chemicals. This method is accepted today as the most advantageous way to produce stevia products for consumption. 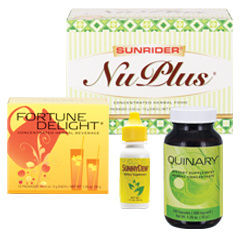 Dr. Chen's company, Sunrider, successfully petitioned the FDA in 1995 to lift the import alert on the extract of stevia leaves. 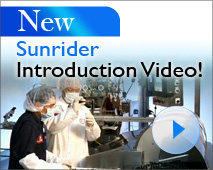 Sunrider was one of the first companies to introduce stevia to the market with the product Sunectar, in 1984, and later this variation known as SunnyDew. Combined with our health drinks, Sunnydew Liquid Stevia can help curb cravings for sugary sweet foods and drinks. This makes it a beneficial source of ►nutrition for athletes, for those who are working to achieve ►natural weight loss, or for anyone concerned about excess sugar intake. 1 bottle of Sunnydew Liquid Stevia lasts a long time. Use just a few drops to enhance the flavor of an entire quart of our ►health drinks. Need more information? Read Stevia- What is Stevia and Why Do You Need It? Recommendation: Add drops as desired to supplement food or drink.